Happy Friday babes! Getting real here today and talking about some insecurities. Like a lot of people, I had braces when I was younger but my braces left behind evidence they were once there. The glue left behind a discoloring on my teeth that's faint to see to everyone else but to me it's one of the main things I see when I smile. I've always had sensitive teeth too so whitening was always a struggle for me. Even though up until recently I didn't drink coffee (and I only usually have a cup a day during the week), I don't really drink red wine and I don't drink soda, I always envied people with sparkling, pearly white teeth but thought it was out of reach for me. And in a way it was, until Smile Brilliant. 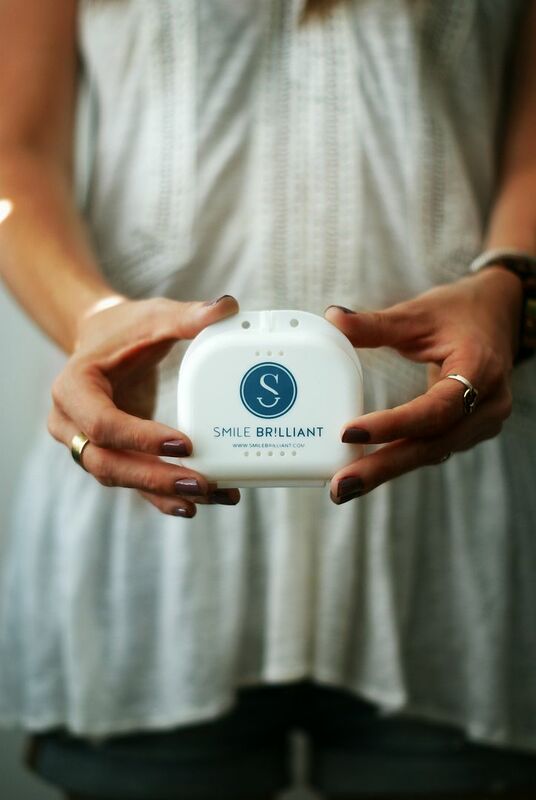 Smile Brilliant is an at-home whitening kit that is not only super easy to use, but it shows results almost immediately. 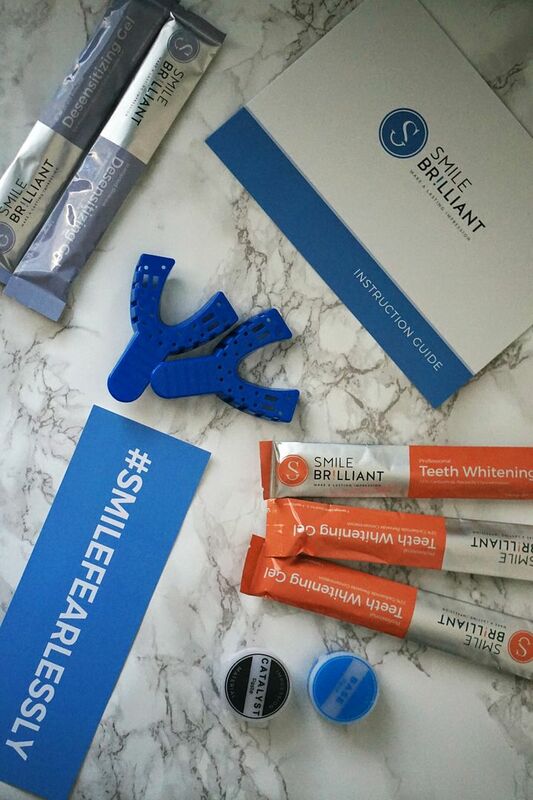 Smile Brilliant sends you everything you need to get started on your at home whitening kit, including very detailed step-by-step instructions which is definitely needed for someone like me even though the process really is pretty simple! Blend the blue and white putty (the base and the catalyst) together until they’re a light blue color and you fill the blue mold tray. Place the mold tray (one at a time!) on your teeth for 2-3 minutes. Mail in your impressions with the pre-paid envelope included. 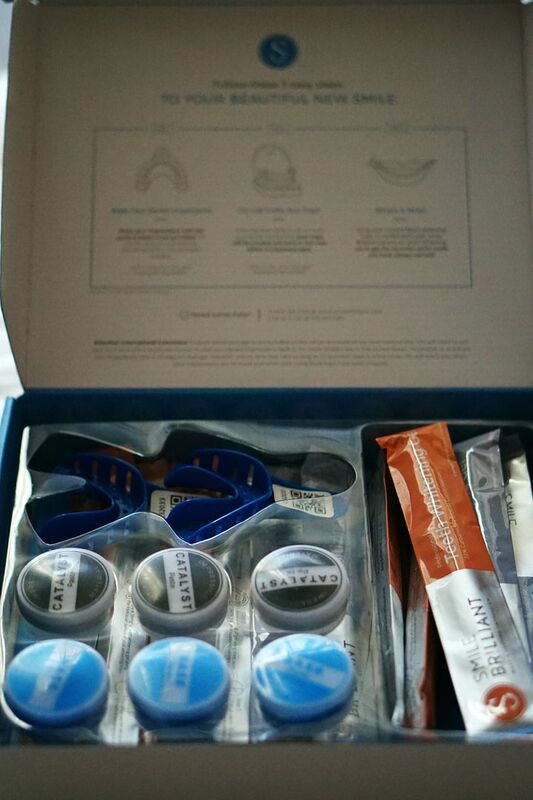 Once you receive your clear trays in the mail, you're ready to try out your whitening kit! Line each clear tray with the whitening gel and leave on for a specific amount of time (this varies based on how long you want to keep them in. I started with 30 mins). Rinse and use desensitizing gel. Repeat as needed and enjoy a brilliant white smile! Depending on how often you use them and how long you keep the trays in, you can see results almost immediately. Since I know I have sensitive teeth and gums I spaced out my sessions and kept the trays in for a shorter amount of time at first but the desensitizing gel really helps! It's definitely far more effective than whitening toothpaste or strips. One of the things I love about Smile Brilliant is the trays are actually molded to fit your teeth and you aren't using oversized trays that are uncomfortable and don't fit in your mouth or strips that never stay put. I also love that the entire process is done in the comfort of your own home. 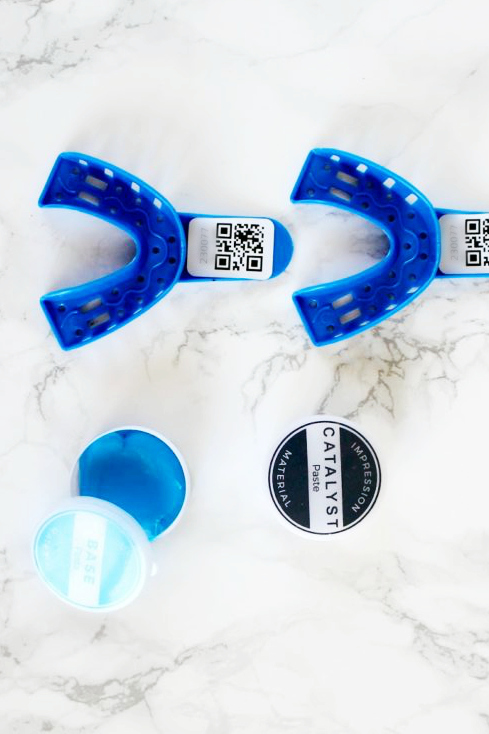 As someone who fears (I mean seriously fears) going to the dentist, I wanted whiter teeth but not so badly I was willing to sit in the dentist office so this is a perfect and affordable solution for me! Oh wow! Beautiful! But your smile was so pretty to begin with. Your before is most people's after. I've seen a lot of people using this with good reviews. Pretty smile, before and after :) Happy Friday! Isn't Smile Brilliant awesome?! I had such a great experience and keep seeing huge differences as I continue to use it! Omg..I felt the same way when taking the pictures! SO CLOSE! This sounds so easy and your teeth look so white!! Those are some great results! I am glad that you had a great experience with this brand and it sounds like it was so easy! Your teeth look so white!! Is it really not that bad on sensitive teeth? That's always my biggest issue with everything. Yay for bright + white smiles, lady! 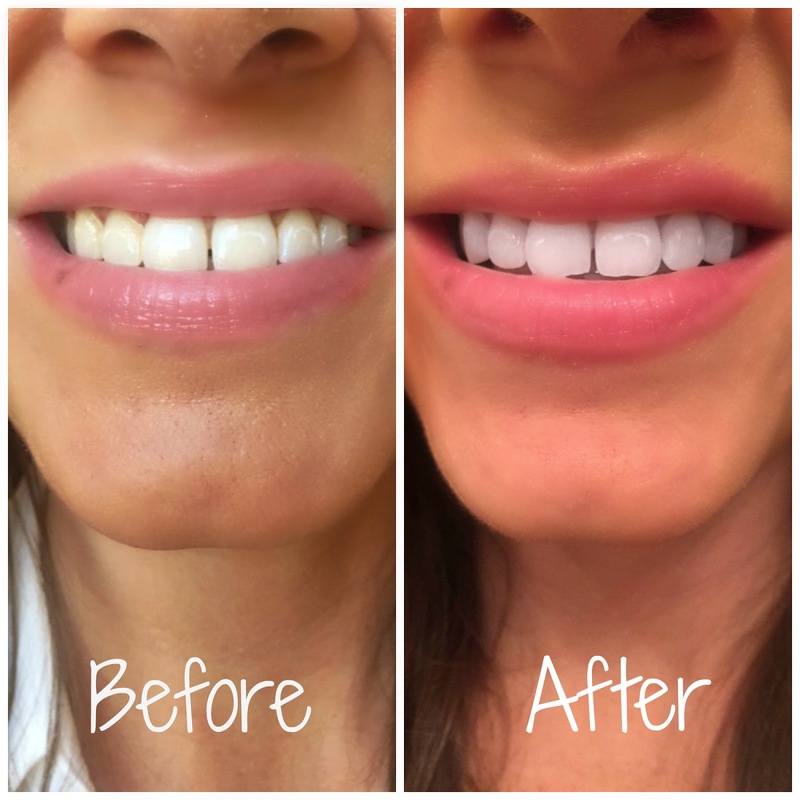 I think a teeth-whitening regimen for maintenance and occasional brightening is sooo key! I love Smile Brilliant! This reminds me to whiten my teeth this weekend -- I've been drinking MORE coffee than usual. Your teeth look so pretty! That's great that you found a whitening product that works for you! I've never heard of this, but am so glad you shared it! You have such nice teeth and it seems like an easy process even with all of the different components to the kit. Love Smile Brilliant! It works so well and doesnt irritate my teeth... Your teeth look amazing! Pretty smile!! This sounds so easy and your teeth look great! Wow! You had a beautiful smile before, but those results are awesome! I've been wanting to whiten my teeth too- all those pictures of ourselves on the blog make me pick out my insecurities! Have a great weekend! I've heard about Smile Brilliant before. What a difference it makes! Your teeth look great! This sounds awesome! I really need to whiten more often. I like that it comes with desensitizing gel. I had braces too as a teenager but luckily no glue or discoloration remained. That's awesome!! I've been wanting to look at something for whitening again. I had custom trays made in high school and I really loved it (minus the sensitivity!) but it was SO expensive. I'm going to check this out!